Introducing – the Zoomalata Experience. 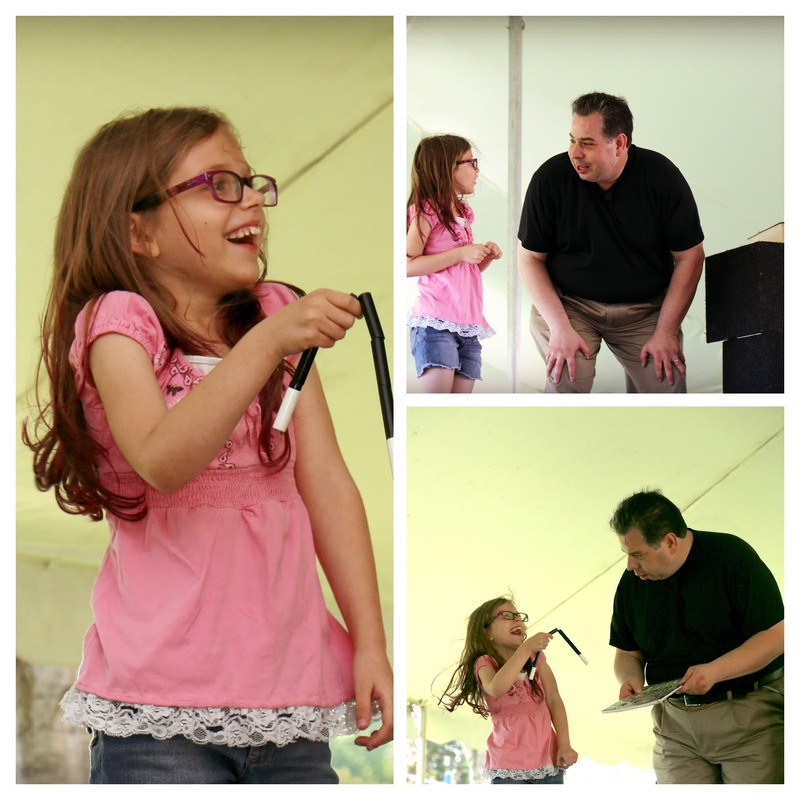 I bring to your home all that you need to make the event a success that the kids (and their moms) will talk about by providing a clean FUN and exciting Magic Show with your kids being the star of the show. I want to share with you all the details of the different packages as this is my way to make sure that you don’t need to break the bank (just chose the package that simply makes sense). Kids from all around Northeast Wisconsin ask for my magic show for 10 years now so I know I can make your boy or girl feel surrounded with laughter. Why not see all the nifty pictures I have on facebook from events I have serviced lately. Press here for that. No sitting around during a Zoomalata Magic Show. While geared towards kids, each show is interactive and is inclusive for both kids and adults. This means for you that the children are engaged during the show that they will not be running around. If you book the full 2 hour stress free party the kids will be active for the 2 hours and lessen the chances of getting your home dirty. Bringing you great customer service and a fun, entertaining magic show in turn allowing you to host an amazing birthday party that puts smiles on your guests faces and thanking you for hosting a great party. If your birthday party guests don’t have a great time, from watching a Zoomalata Magic Show. You don’t pay a dime. You even get your deposit back if you paid one. Here is a question for you now. Do you want more information on birthday party packages? Your Child Will Have the Best Day Ever! See the four photos above this text. The kids are smiling. These are actual kids who watched Wisconsin Magician, The Amazing Zoomalata perform his comedy magic at a public event. This is the result that we look for, fun, happy moments that the kids will remember. See the mom in the third photo. Mom is getting tons of enjoyment watching her child enjoy the show. And in the fourth photo, that’s me. Your stress free solution to running a successful party. 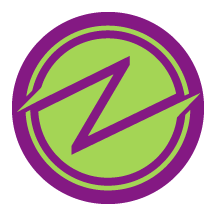 How does The Amazing Zoomalata give you the solutions you need to your birthday party issues? Let’s take them one at a time. 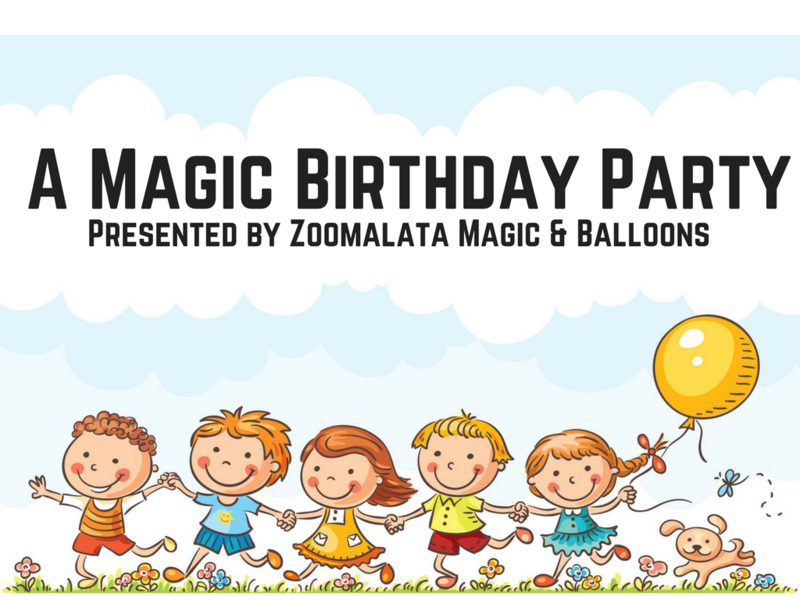 How will Zoomalata Magic & Balloons Save Me time? By hiring The Amazing Zoomalata your time spent planning and preparing for the party will be cut down. Seriously, all you need to do find a venue to host the party, get a birthday cake and refreshments and whatever gifts you want to give to your birthday child. The rest is up to us. Not only will this save you time it will give you peace of mind too. I have 25 loud kids in my house, what if they mess up my home? Throughout the time The Amazing Zoomalata is there the kids are entertained and engaged. All the kids are encouraged to participate and are included in each activity, leaving little to no time for the children to even think about getting into trouble. Hosting a party is going to cost a lot of money and time, how can you help me? Let us do the work for you. There is no need for you to go to a party store and being tempted to buy stuff that you really don’t need. We will bring the decorations, entertainment, games, music and treats. We can bring all those things or just some of these things or all of them depending on which package you choose. How stress free do you want us to make your party? The last party I was at bombed, how do I do things differently? Let us handle it all for you. Entertainment with magic and balloons, decorations with balloons, take home gifts and treats with fun balloon candy cups. No over spending because there are no impulse items to see like at a big party supply store. Sit back relax and sip on your favorite beverage as we entertain your guests. As the host of the event we want you to enjoy the party as well. This is what we offer to you. It is kind of like a show within the magic show. I would like to tell you a short story. 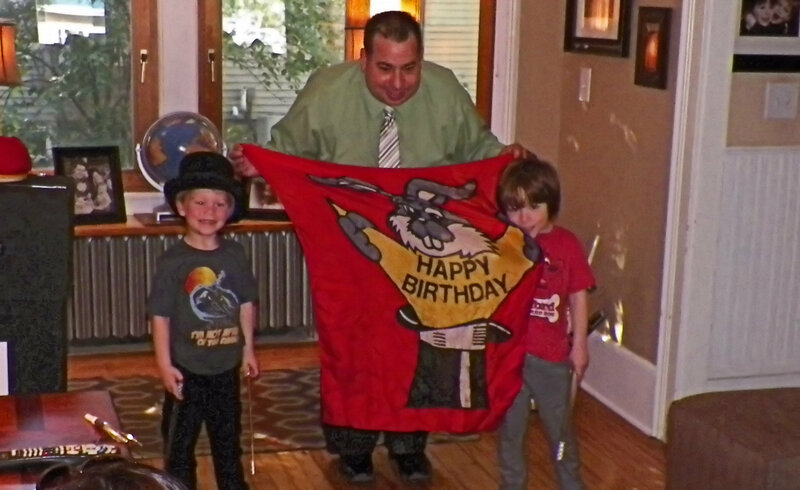 A couple summers ago I performed at a boys birthday party. I performed in the living room and to the left of me around the dining room table were all the adults. They had so much fun. I could hear them laughing and enjoying themselves as they watched the kids watching the magic show. Listen to what the mom for this birthday party had to say. Click on the play button on the video to the right.